Due to storms and excessive rainfall, portions of roads, trails and recreation areas are closed. See the list of closed roads and areas here. 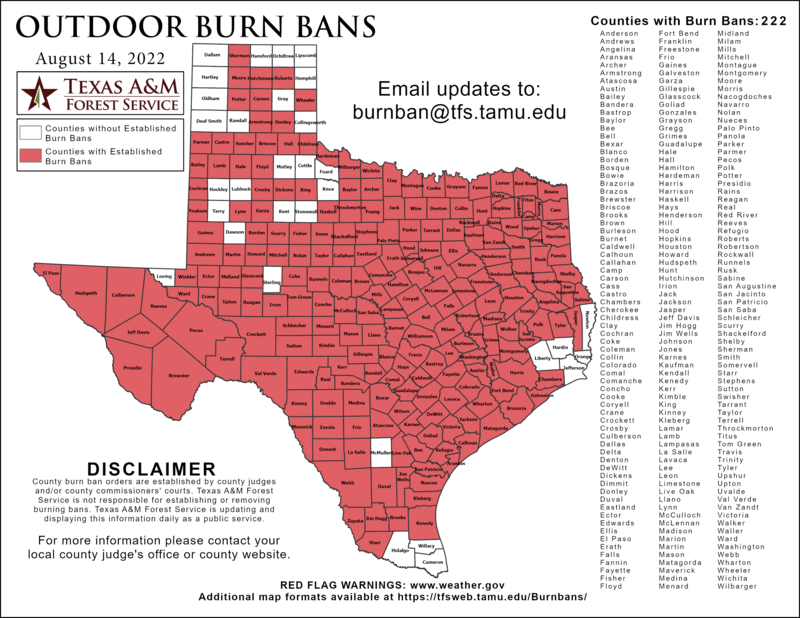 Links the NFGT planned burns, completed burns, and the Texas Burn Ban Map may be found here.